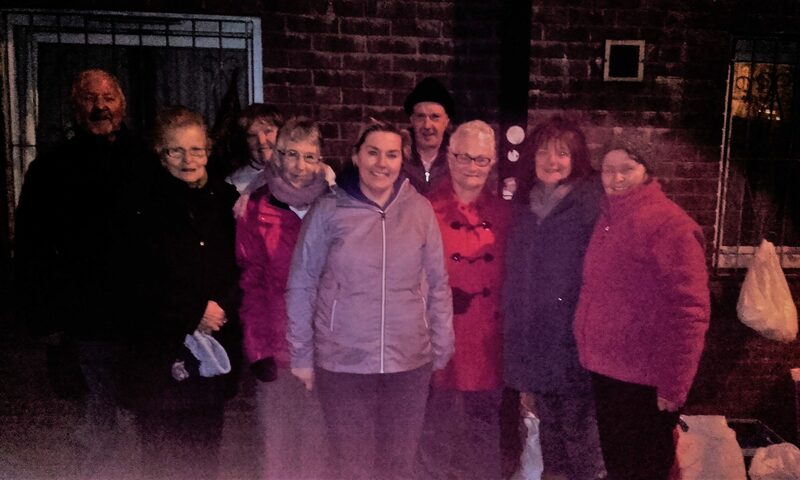 The Touch Team went to Belfast last Thursday night to hand over new clothing and foodstuffs to Hope Harbour Helping Homeless Belfast. We helped at the feeding station until 9.30pm by packing food bags for the homeless who turned up to be fed, the weather although cold was kind to us. The huge amount of warm winter garments procured by Joan Martin on behalf of the Team was bought by Touch Team tithing for 2016.